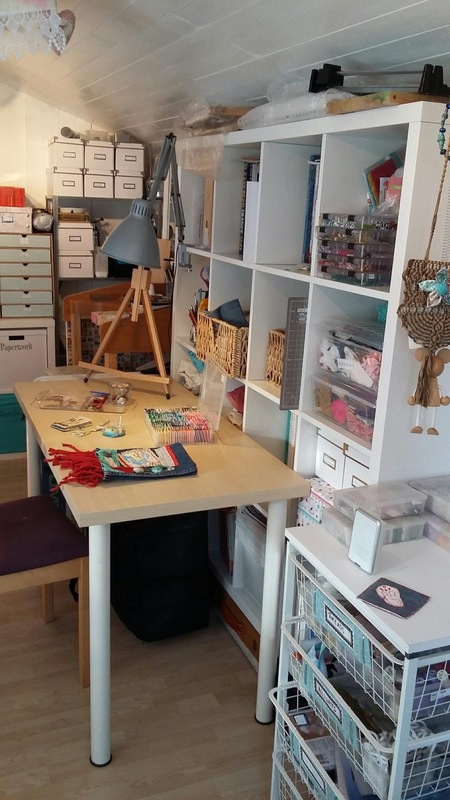 2015/16 saw a lot of changes in my little Boxoftrix studio. 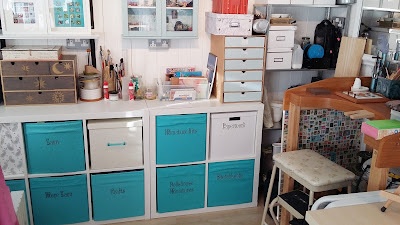 I started almost a year ago, but its done now and it just feels so much more spacious! 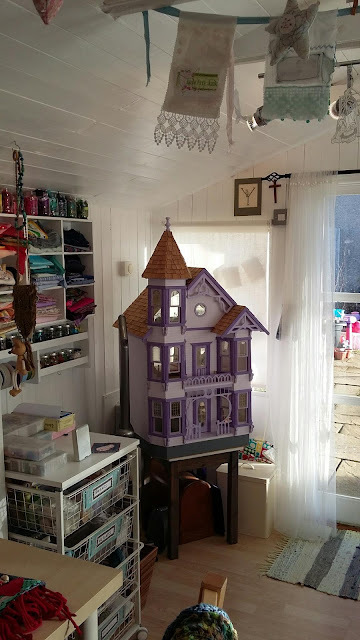 My sewing machine is perfect in this corner with the light pouring in from the front and side windows. 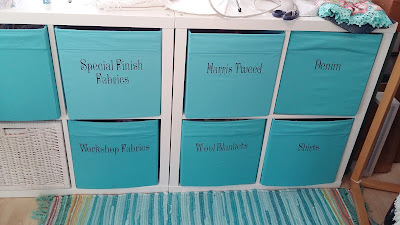 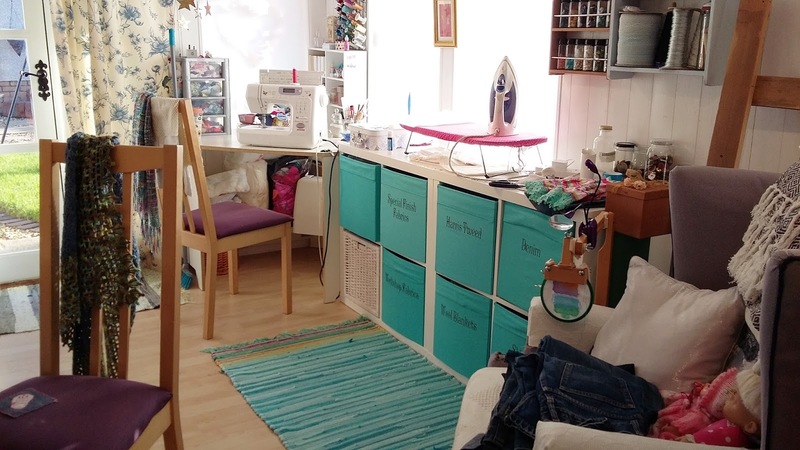 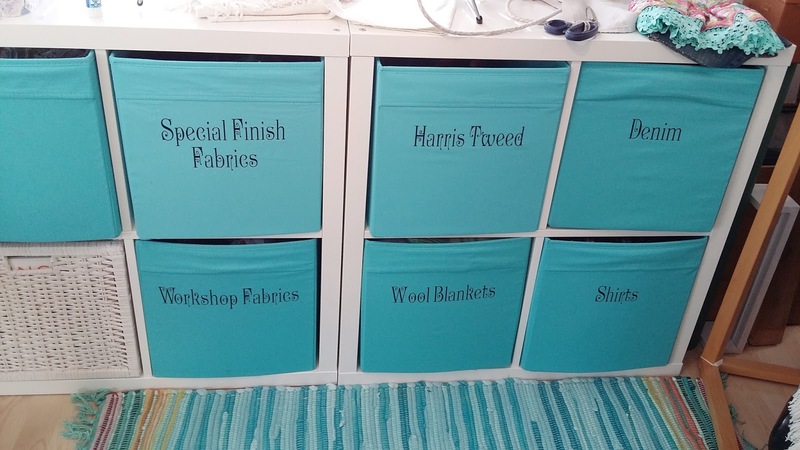 The new shelving units with fabric drawers provide great fabric storage and additional work surface that gets a lot of light for my little ironing board. for my jewellery making equipment, next to my workbench. and can comfortably share my angle-poised lamp with both work spaces. I kept one of the basket drawer units for threads and haberdashery, its handy with the castors on.